Facebook jobs can sometimes seem out of reach to people without a tech background. But it didn't stop Merlyn Deng from joining the company and becoming a product manager. Business Insider spoke with Deng about what it's like to work at Facebook. She broke down her entire daily routine, from her early-morning commute to cooking in the evening. Deng talked about Facebook's culture, artificial intelligence, and the strategies she uses to lead her team. 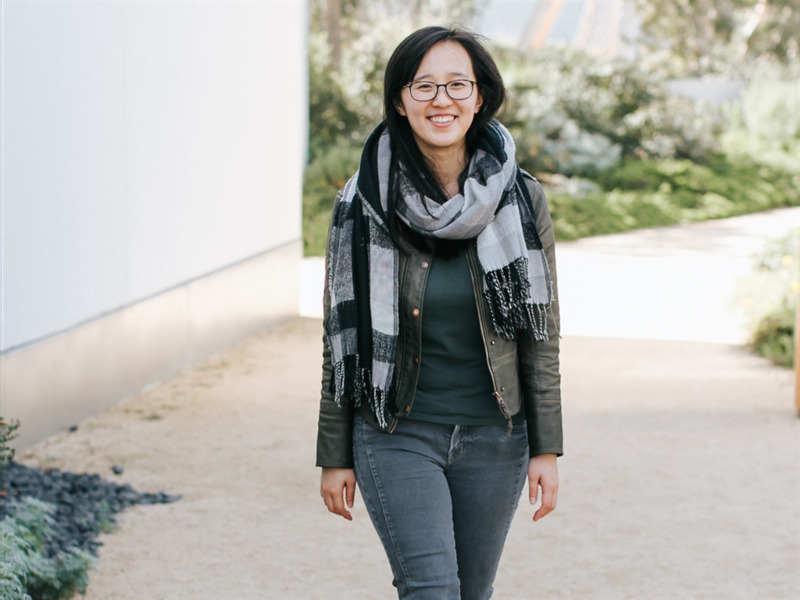 Landing a job at Facebook seemed like an impossible dream to Merlyn Deng. She didn't have any experience in tech when she applied to the company. "I didn't think I could get into the tech sector," she told Business Insider. But that didn't stop Deng. She prepared for her interview, compiling a detailed list of features she wanted to help build and the skills she could bring to the table. In 2013, Deng landed a job at the tech giant as a media-partnerships analyst. "Having a strong clarity and intent about what you hope to do — particularly at a company like Facebook — helps drive a lot of the conversation," Deng said. She's shifted gears since then and now works as a product manager. Deng spoke with Business Insider about her daily routine, Facebook's work culture, her strategies for staying on task, working with a team, and leading a balanced life. 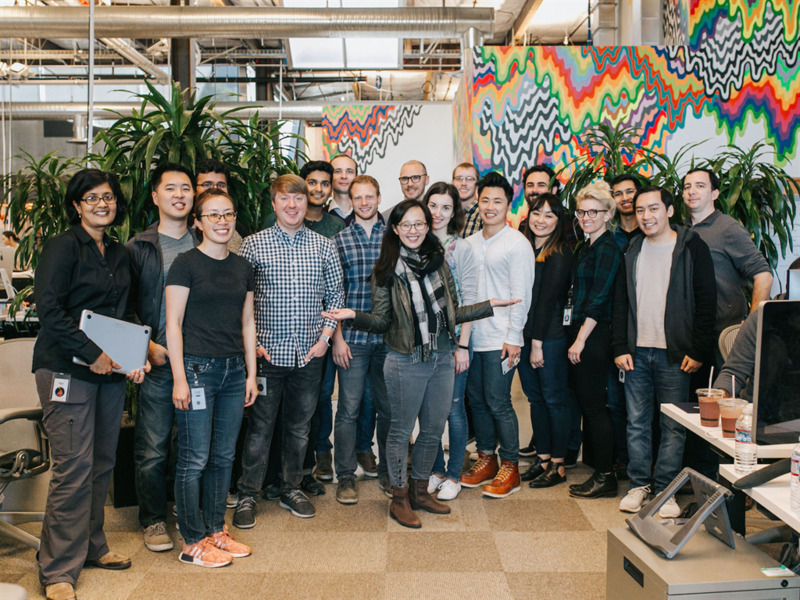 "As a product manager you're really responsible for working with a lot of other people and thinking about the best thing we can do for the company today, in six months, or in a year," Deng said. 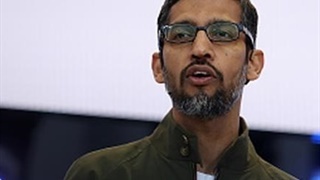 That means bouncing around ideas for new features, dealing with the day-to-day execution of different projects, and "making sure that your team feels like they're delivering the best state-of-the-art AI," according to Deng. "We're all here to deliver AI that can really help connect the world and help connect people through Facebook," Deng added. Deng wakes up bright and early. Deng is a product manager at Facebook. Deng usually wakes up about 6:30am. Twice a week she works out with a kickboxing trainer first thing in the morning. "It's a great sport," Deng said. "You feel great, but you also learn how to feel confident in your skin." On her commute, Deng thinks about what she wants to accomplish going forward. While she's driving to work at Facebook's headquarters in Menlo Park, California, Deng said she starts to think about what she wants to accomplish during the day and during the week. "This is both an everyday thing as well as a start-of-the-week and an end-of-week thing," Deng said. The drive to work is the perfect time to plan ahead because the office can get pretty "crazy" first thing in the morning. "By doing that for yourself, you can become a better co-worker to everyone else," she said. 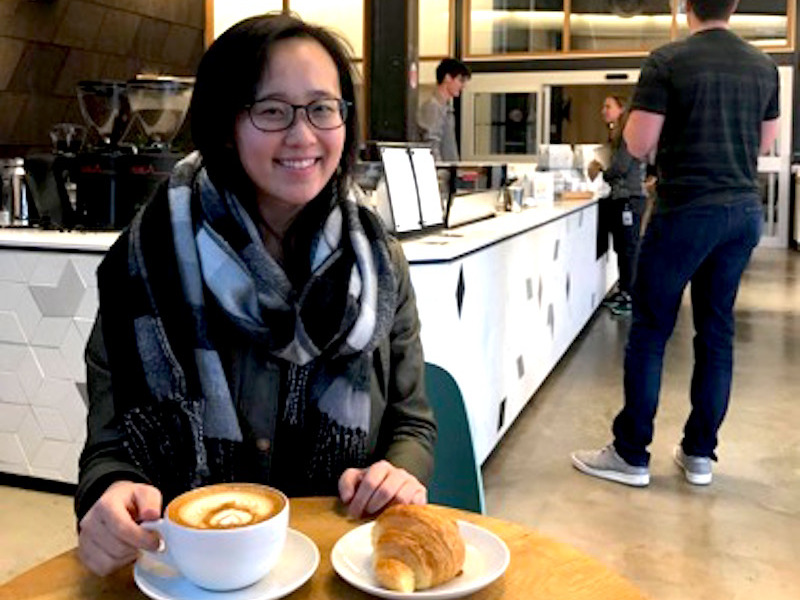 Deng kicks off her work day with a cup of coffee from Saint Frank. Deng usually gets to the office by 8am. Her first stop is Saint Frank Coffee, a java joint on the tech giant's campus. "It's the best coffee that you'll get in Menlo Park," she said. She'll sit down for a bit, chat with the baristas, and then sometimes run into a colleague or two on her way to her desk. "Everyone should have a morning routine like this, where they get to talk to a few people, but they're not really in active mode yet," Deng said. Once she's ready to switch on, Deng heads over to her desk, which is right by Saint Frank — a coincidence that she called "dangerous but incredible." 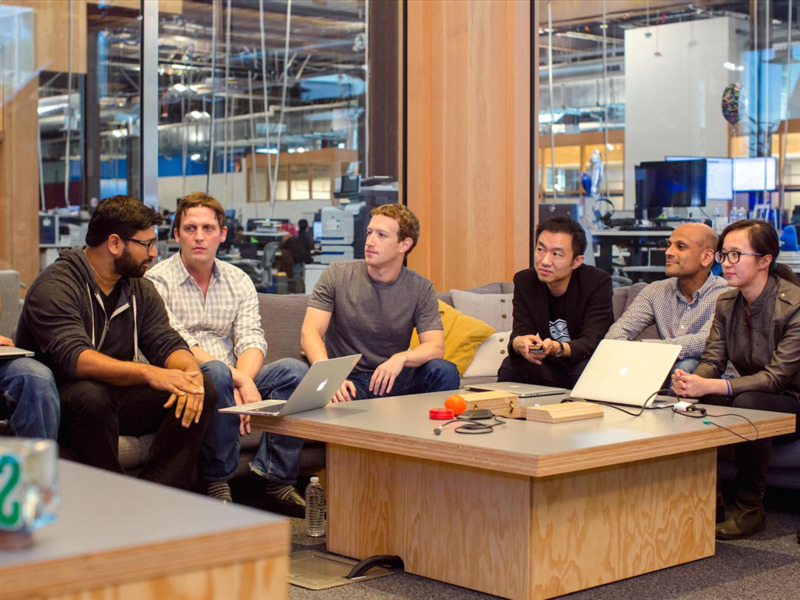 Deng's team sits between Facebook's products team and Facebook's AI research team. Deng's job is focused on applying machine learning to speech. Deng stands next to Facebook's mural of Alan Turing. He is widely considered the father of computer science. 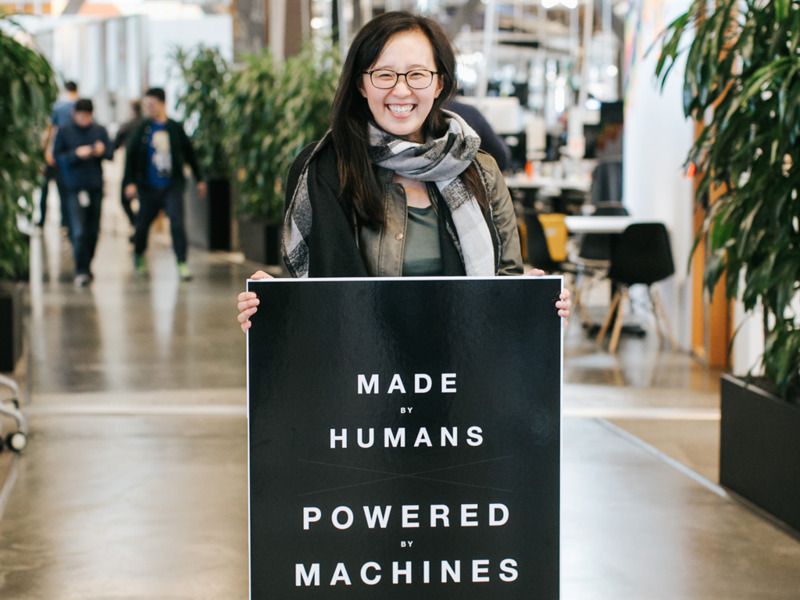 Deng told Business Insider that her work always comes back to a single question: "How can we use AI to connect people and to make the Facebook community more open and connected?" 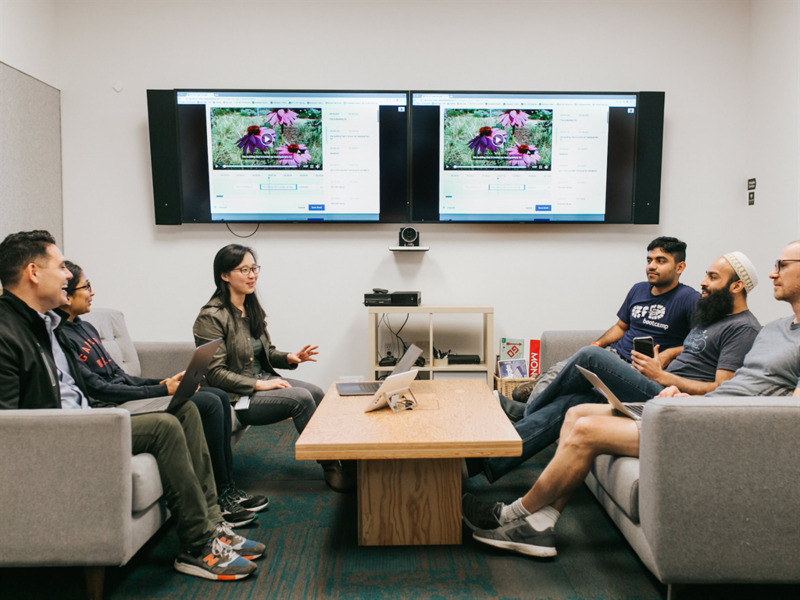 Deng and her team are responsible for "developing new ways that we can apply machine learning to built out better products." They work toward the goal of building out "new ways for AI to deliver value to people." At the moment, Deng is focused on how artificial intelligence and applied machine learning can pertain to speech recognition. Deng often looks to the father of computer science for inspiration. 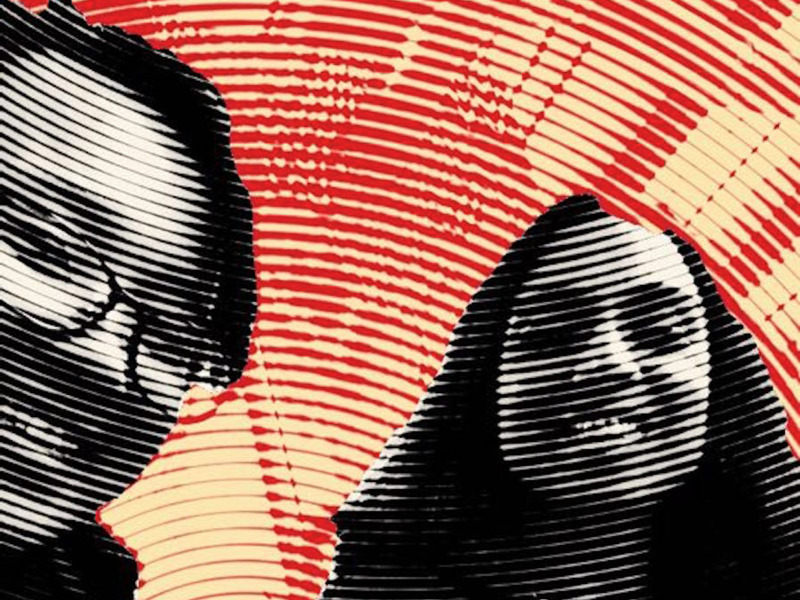 Deng strives to mentor other women in the field of AI. Deng said her daily job as a product manager is to take care of her team and ensure everything is running smoothly. Like all Facebook employees working with AI, she takes time to think about the specific issues in the field. 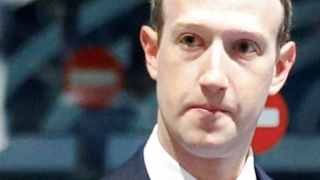 Deng said the Turing test, which tests a machine's ability to demonstrate human-like intelligence, is a "North Star" for Facebook. The test was the brainchild of Alan Turing, an English computer scientist widely considered the father of the fields of theoretical computer science and artificial intelligence. "We always ask the question, can a machine do the task by itself without a human?" Deng said. "In some instances the machine is faster and more accurate at proactively taking down content that violates policies." She collaborates with many different teams. Deng discusses captioning with Facebook's video team. Deng and her team "watch the AI field like a hawk," reading new papers and keeping informed about technological developments. They also spend a lot of time prototyping and "thinking about what are different ways voice can be used and tracked with Facebook products." When it comes to ensuring productivity for both herself and her team, Deng said she always thinks about "what would happen if I wasn't operating in the room with the team?" "Will they be able to do an amazing job?" she said. "Usually the answer is I don't actually have to be there. That allows people to be more productive across the board. We can save time and we can reserve our time for the things that are most important to ourselves." "When you have an amazing workplace like Facebook, you're surrounded by people who really care about the product and who really care about going the extra mile," Deng added. 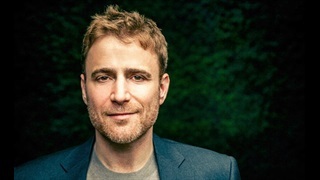 "One of the things I've realied is we really need to internalise — as people at this company or even anywhere else — how do you really best leverage and invest in the people around you?" She also works with Facebook's video team. Deng's team works closely with Oculus. "I spend a lot of my time with different teams around the company who are thinking about leveraging AI in their experience," Deng said. "What are other ways we could make content on Facebook more accessible and easy to understand?" Deng said she especially works with the company's video team, discussing topics like AI-enabled tools that can help content creators caption their videos in different languages. 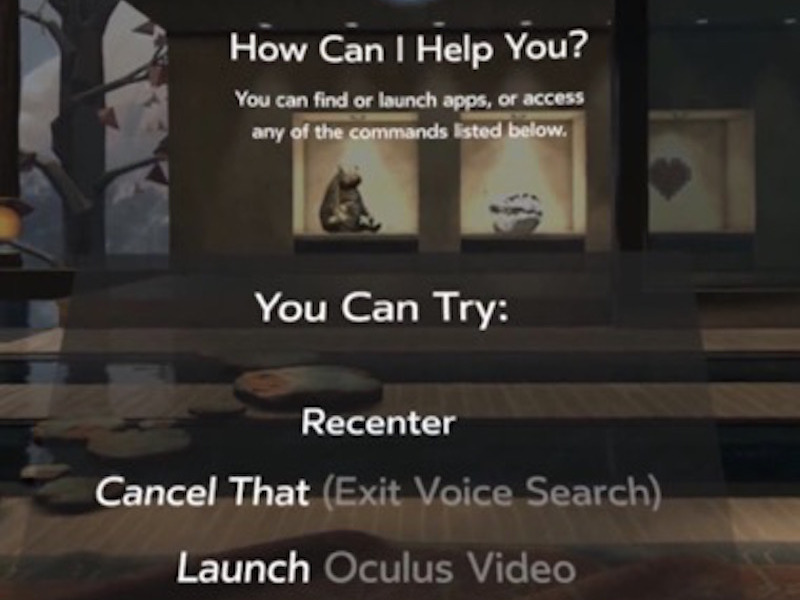 The result of an Oculus-voice interface that Deng worked on. Deng's team also works closely with Oculus "to build out voice control in a hands-free, eyes-free environment." "A lot of my time is spent working with product areas that could use speech recognition," Deng said. "This includes any place where audio plays a role in the user experience, like Oculus and video captioning." Deng works on different areas of the product that could use speech recognition. Deng and Facebook CEO Mark Zuckerberg at a hackathon. 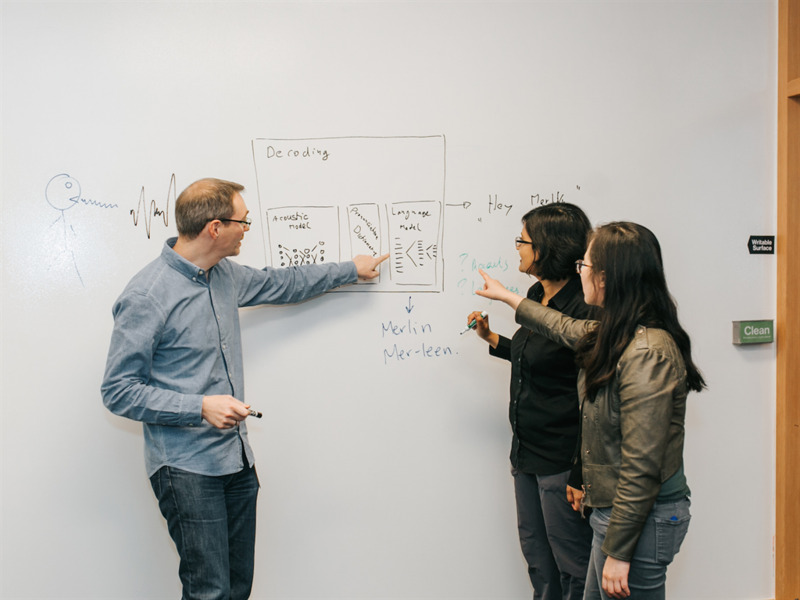 To ensure that content creators can develop content in any language and still add captions, the applied machine learning group built a caption-editing service. 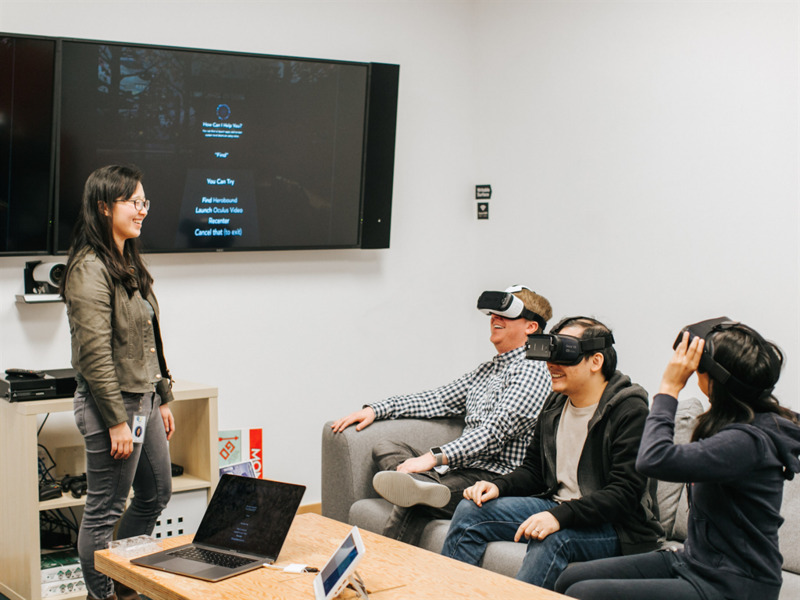 "We got a small hacker team together to prototype the product experience that would enable you to use your voice to find Oculus content, which we then greenlit and shipped a few months later," Deng said. She first got into AI at a Facebook hackathon a few years ago. "Facebook's culture is really unique," Deng said. "If you have an idea, you have every opportunity to build it." It's how she came to enter the field of applied machine learning. "When I was an outsider, before I joined the group, I actually was really intimidated by AI and what applied machine learning meant," Deng said. At the same time, she was interested in what the technology could do. So during one of Facebook's famous hackathons, Deng ended up forming a team with some of her old engineering colleagues and a number of people she works with today. Their project focused on how AI could be used to recognise people in videos and ensure that Facebook users always see videos that align with their interests. The team ended up getting the opportunity to present to a mini prototype forum as well as Facebook CEO Mark Zuckerberg and CTO Mike "Schrep" Schroepfer. "Having that type of audience is amazing," Deng said. "And getting to interact with other people in the company really superpowers your career and your ability to learn." 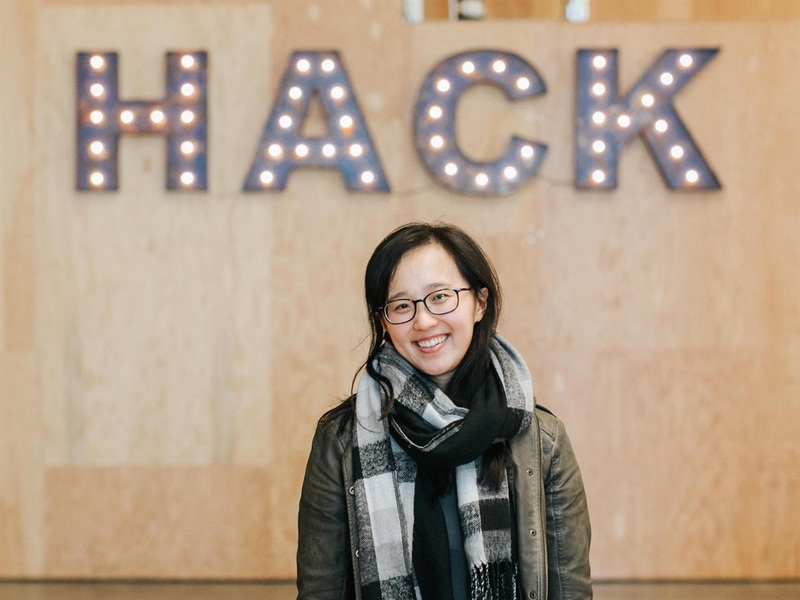 After the hackathon, she applied for Facebook's applied learning group and landed a role. She said that since she joined the company, Facebook has increasingly taken on more and more ambitious projects, like AI. "Facebook is still very much the rocket ship that it was five years ago," Deng said. "It moves extremely fast. We're thinking about how can we build a community for even more billions of people and how can we invest in state-of-the-art technology to get us there." She takes a lunch break in the middle of the day. Deng takes a walk through Facebook's rooftop garden. Despite her busy schedule, Deng said she takes some time to grab "a bite from the café in my building." 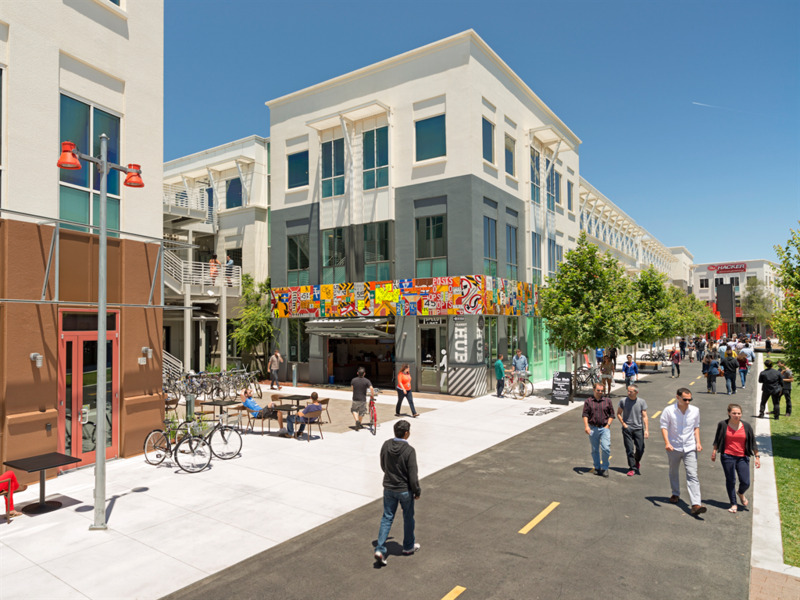 Occasionally she'll swing by Facebook's classic campus to check out other lunch options. When she needs to brainstorm, Deng goes on a stroll in Facebook's rooftop garden. 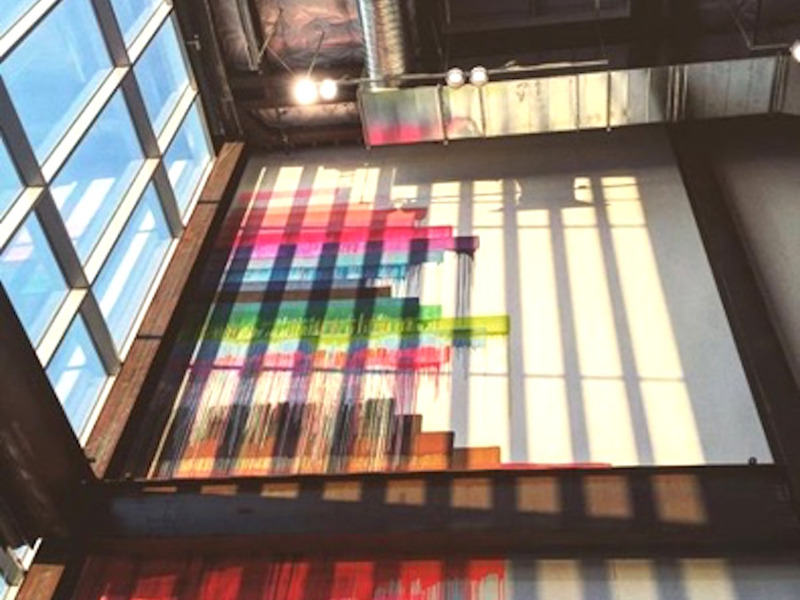 Artwork at Facebook's Menlo Park headquarters. Deng said that she "absolutely loves" Facebook's rooftop garden. Often she'll go on "walking one-on-ones" with co-workers up there, to brainstorm and check in. She said that these mile-long strolls help spark her creativity. "We have amazing gardens and birds and bees up there," she said. "And it actually opens your mind up a lot. You think about new ideas. As you're walking and you're getting your exercise in, you really feel like you can connect with your coworker in a very casual and comfortable way." Deng's team, whom she calls "incredibly talented, hardworking, and ambitious" and dedicated to bringing the world "closer together." Deng said she tries to leave the office by 6. When she gets back home, she said she enjoys experimenting in the kitchen. "I really love cooking," Deng said. "As much as I like to work out, I think I like to cook even more." Deng will scour Instagram and read cookbooks in search of the latest recipes to try out. She also unwinds by taking walks and cleaning the dishes. She tries to be in bed by 10, and makes sure to shut down her phone before she turns in. Achieving a work-life balance is 'more of an art than a science,' according to Deng. 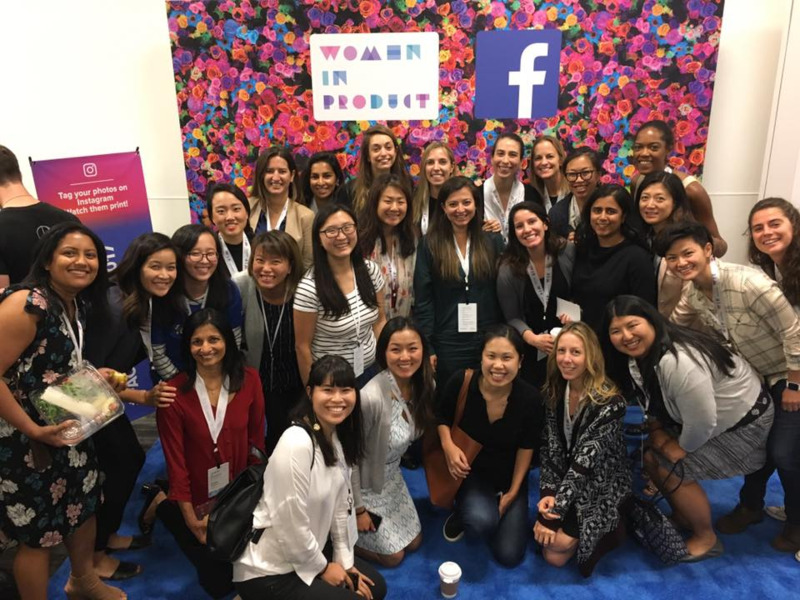 This product manager didn't have a tech background before joining Facebook, but she doesn't let it hold her back. Before she turns in, Deng also spends some time contemplating the day ahead. "I start thinking about the next day, of course," Deng said. "But I also want to emphasise it's really important to take time to unplug yourself. It's easy to just keep looking at your phone and looking at your laptop and thinking, 'What else do I need to do tomorrow?'" When it comes to achieving a work-life balance, Deng said, "It's more of an art than a science. If someone's figured out the secret to a perfect work-life balance, I'd like to meet that person." Deng said she credits her ability to balance her life with the support she receives from her partner, family, and friends. "I'm not a superhero by myself," she said.